Fort Thomas began picking up Christmas trees on December 28 and will continue that today, January 4 and finally on January 11. 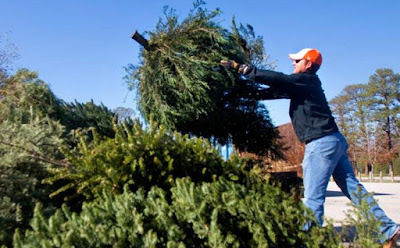 Campbell County Cities, Campbell County Fiscal Court, NKU and the Campbell County Extension Service all plan to provide Christmas tree recycling options for the residents of our county. Each city will be hosting a site for their respective residents. Those who live in the unincorporated County can utilize the Environmental Education Center or the Pendery Park locations. All trees collected by the county will be chipped and used for landscaping on the NKU campus grounds. Please look for signs when dropping off. For more details, call Kirk Hunter at 859-547-1866 or send an email to khunter@campbellcountyky.org.